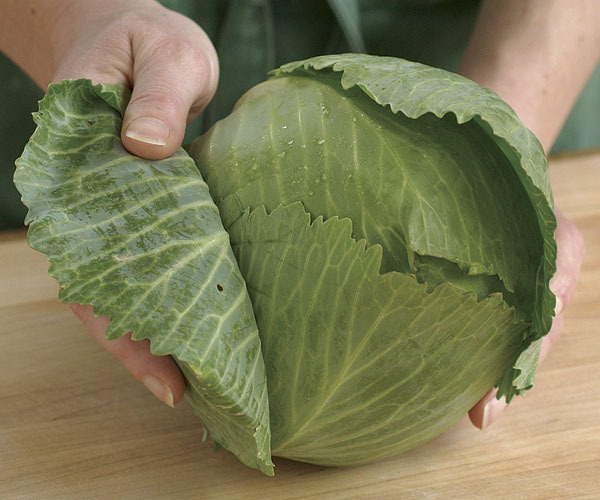 First, peel away and discard any tough outer layers or leaves (top). 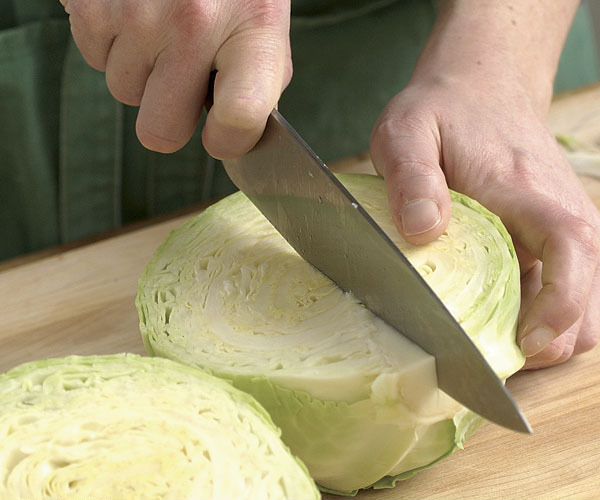 Then, cut the cabbage into quarters through the base (left). Finally, cut the core out of each quarter (right). 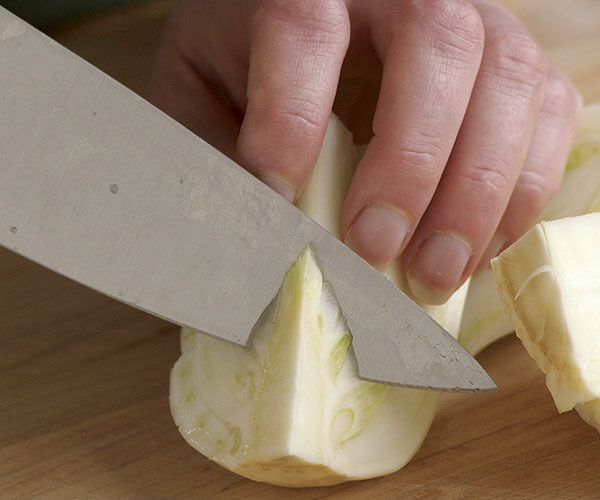 You’re now ready to slice.